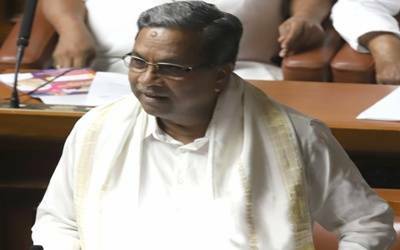 Bengaluru, May 16 (IANS) Karnataka’s outgoing Chief Minister Siddaramaiah on Wednesday accused Prime Minister Narendra Modi of encouraging horse-trading to lure Congress and JD-S legislators to their party for forming the government after the May 12 assembly election gave a fractured mandate. "Modi and Shah are supporting BJP leaders in horse-trading to poach legislators of our party and the Janata Dal-Secular (JD-S) to prevent us from forming the next government in the state," Siddaramaiah told the media here. Asserting that the party would not allow the BJP to form a government in the state at any cost, Siddaramaiah said none of the Congress legislators were missing or likely to defect to the BJP. "We have a plan to safeguard our MLAs, who are together and will not join the BJP, which has 8 less seats for the 112-halfway mark and prove majority," Siddaramaiah said. Of the 222 assembly segments in the state, the BJP has won 104, Congress 78 and JD-S 38, including one by its ally Bahujan Samaj Party (BSP). "We have extended our support to the JD-S to form the new government, with its state leader H.D. Kumaraswamy as Chief Minister. As we have the numbers (118), Governor Vajubhai R. Vala should call our alliance first than the BJP, which does not have the required numbers," pointed out Siddaramaiah. Both the post-poll alliance partners met Vala on Tuesday evening and staked claim to form the new government in the southern state. Outgoing power minister and Congress winner D.K. Shivakumar said the party’s legislators were intact and none were ready to switch over to the BJP. Party’s senior leader Ghulam Nabi Azad said the Congress Legislature Party (CLP) met here and passed a unanimous resolution to support Kumaraswamy, who was elected as JD-S legislative party leader earlier in the day. "We have sought appointment with the Governor to submit our resolution and letters of our party legislators in support our stake to claim power," Azad told reporters at the party office in the city centre.